The fantabulous Nori has decided to bring bloggers together to try some new things and get creative. Me and the most awesome Yellow Team decided, for our project, to highlight some of those young adult books that didn't get the big press releases, that aren't being made into movies, that flew under the radar--but that are still fantastic! For more great #QuietYA titles, check out the other members of Yellow Team: Stefani, Karina Romano, Kim, Sara, Emma K, Lauren, The Book Jar Blog, and, of course, Nori. No one was as excited about this book as I was. I feel pretty comfortable saying that. I first came across it when it was published in its original German as Silber, with a wicked Tim Burton-y cover that I still prefer to the U.S. edition. I waited longingly, unknowing if it would ever be translated into a language I can speak (aka English, because American school system). And then it happened. It happened! Dream a Little Dream was mine! And it was just what I'd always wanted. I raced through it, delighting in every page of the bubbly, exciting plot. All the ingredients are there: an innovative dream world, a sinister plot, a curious and independent heroine, and an adorably healthy romance. Seriously, all the swooning. (Did I mention there are British boys who recite poetry and play guitar?) Moreover, the writing is that dryly humorous, subtly pretty style that I can't get enough of. Finally, the book has this magical quality. I can't put my finger on how, but it gives off the same feelings of bubbly whimsy that I get when reading Howl's Moving Castle. My main complaint? The sequel isn't out yet. 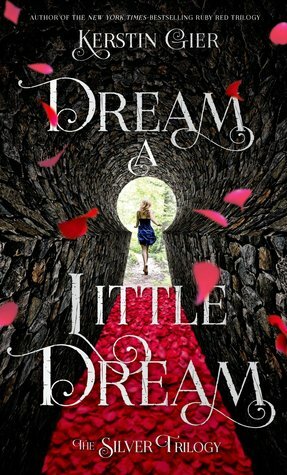 If you love fantasy in any capacity, check out Dream a Little Dream. It's a wickedly funny, but still poignant adventure through surreal dreamscapes and human foibles, with characters you'll insta-love. What are your favorite #QuietYA books? Gosh, I adore the Quiet YA movement. It's such a great way to find hidden gems that have flown under the radar. I can't think of any offhand at the moment (ah! pressure!) but I've got this one on my TBR!